My review today of my latest Kittie Kat Co planner sticker haul is what I have chosen to receive as my PR Kit for being on her PR Team. (PR stands for Public Relations, each month I am with her promoting her shop through social media I have the opportunity to purchase goods at a discounted price and choose products for free that I would like to use, in short I work for her and I’m paid in stickers!). My first choice was for the new Sugar Skulls kit which I adore the clipart for when I first saw it. I’ve been searching for a Halloween kit that was a little bit different to the norm you see and this was perfect! The Sugar Skulls kit is a full no white space kit which is priced at £11 for normal matte and £13.50 for premium matte, it comprises of 6 sheets with everything you need for a full no white space layout, there is also a matching deco sheet avaliable in the shop to purchase seperatly which has a number of matching stickers for the kit. 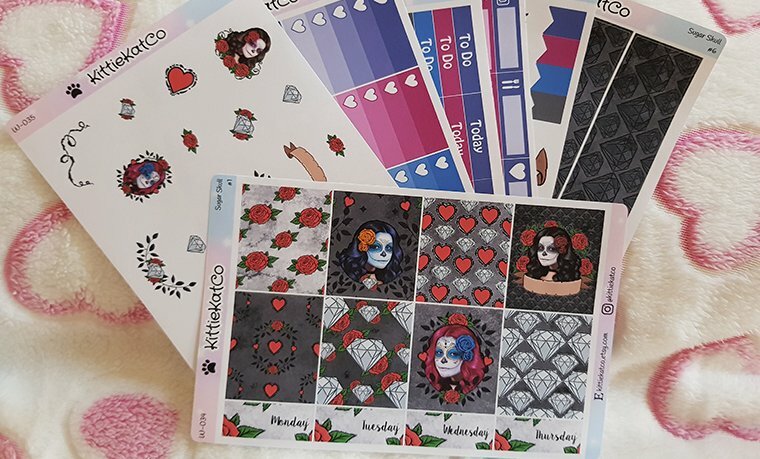 Kittiekatco are currently the only UK shop I’ve seen with social media boxes something I love to use is the icons but, i forget with being on PR teams what I am posting and where so I suggested to Kat she came out with these for Instagram, Facebook, YouTube and Twitter. As you can see there is a space to write whatever you need to and they’re all available in various different colour schemes which I love. These are defiantly something I will always purchase now as I use them weekly! 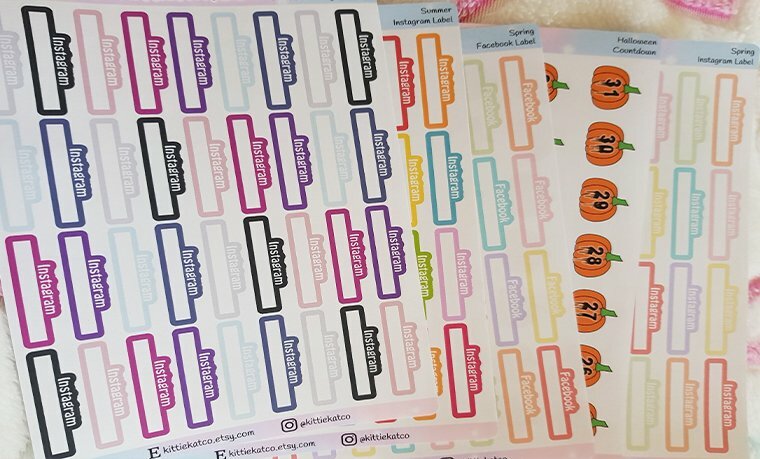 Also I received the new pumpkin countdown for Halloween, I’ve had some people ask me why I buy stickers when I create them myself and have my own countdowns. 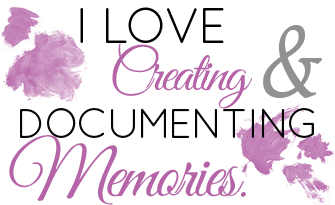 Truth is… I do alot of work with my own etsy shop and I like other people’s designs too so why not I think I’d find myself being bored if I didn’t have variety. Last but not least! Anyone know knows me, knows I adore cats! I was thrilled to see the new Halloween style cats in Kat’s shop! I don’t plan to use them just for Halloween! Cookie dressed as a ghost I plan to use when my cat gets up to mischief which he regularly does! Cookie in pumpkin for when I have cat time and play time with them as they like to hide and play! And finally cookie zombie when they’re sleepy! 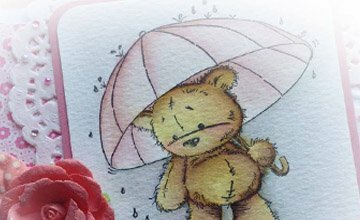 You can follow the Etsy shop’s Instagram at – @kittiekatco and also can be found on Facebook with a lovely community group. Regular discounts can be found on Instagram and the Facebook group, you can also use STRUDELS15 for 15% off your next purchase. Valid till 31st September 2017. My order was completely in Kittie Kat Co’s standard matt sticker paper. This Sticker paper is a nice smooth, thin, white matt, soft to touch and easy to peel. I was also impressed that it isn’t bulky like some sticker paper can be which is great for my planner, especially as I decorate weekly. The stickers that I have received within my order are really bright and vibrant colours, I cannot fault the quality of any of them, the print quality is perfect. One thing I look for when ordering my planner sticker is something different, there are so many shops across Etsy and the Internet that use the same clipart in different ways. I like shops that are different, that stand out from the crowd and grab my attention. 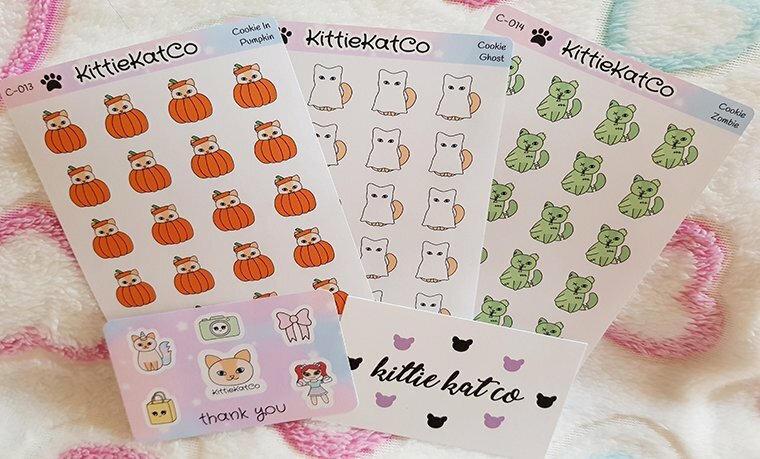 My score for Kittie Kat Co is high 7, whilst the shop has some familiar cliparts within the weekly sticker kits, Kat has a whole bunch of designs that are unique as they are hand-drawn by her, which I really like. Though I recieved these as part of my PR kit I think I would be happy with the price that they are in the shop for all the stickers, good amount of stickers per sheet. All the products in the shop range from £1.70 (functional stickers) up to £13.50 (full kits). Whats more on a Sunday, Kittie Kat Co hold what is called “Squid Sunday” a selection of new and other shop products are reduced to £1 for 24 hours! A bargain not to be missed. Kittie Kat Co aims to process all orders within 4-6 working days, this means cutting and packing all the wonderful stickers and then actually posting your order out to you. Obviously different things factor the length it takes to process orders so please always check Etsy for her latest shipping processing times. I placed my order on the of 3rd September 2017, it was dispatched on the 8th September 2017 (so 5 days processing total) and then I received it on the of 9th September 2017. Total number of days from ordering till my order was in my hands was 6 days, which is very good in my eyes. I cannot fault the cut lines in any of the sheets that I received, they are 100% perfect. Kittie Kat Co charges £1 Postage to the UK no matter how much you purchase and up to £2.50 everywhere else in the world. All my stickers were sealed inside the envelope in a clear cello bag which was sealed with the shops logo sticker, which I think is a nice touch. All the sticker sheets were neatly together too. Kittie Kat Co sends a cute small sampler with every order no matter how big or small. Along with this I received a reward card to collect 21 paw print stickers located at the top of each sticker sheet the store sells and once completed I can trade in for a free mystery sheet. Kat is lovely, any questions or quires you may have feel free to contact her. If you can’t see something in her shop, just ask! Communication is fantastic and everything with my order was on-time and as expected from the moment I placed the order. 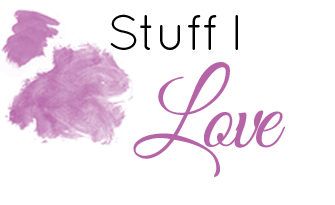 Her shop about me section is informative and helpful for those who have questions and wanting to know about the shop too. Over all I’m thrilled with my Kittie Kat Co order and will certainly be continuing to use this shop for future purchases. Thanks for stopping by today! I’d love to know what you think? Have you ordered from Kittie Kat Co before? And if not, don’t forget to snag my discount code!